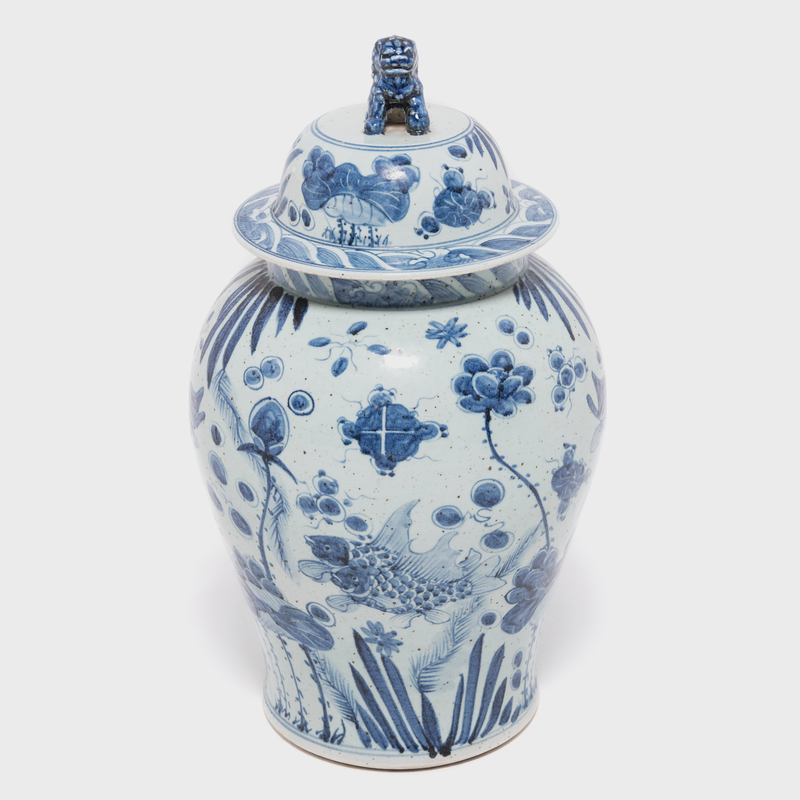 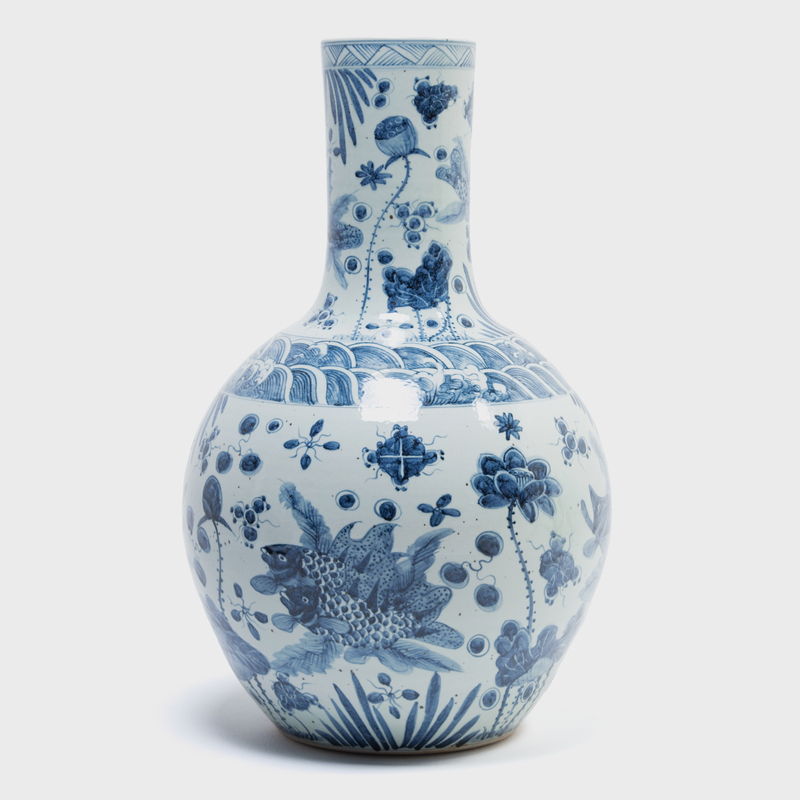 Revered for centuries for its elegant designs and rich cobalt blue and pure white colors, traditional Chinese blue-and-white porcelain lives on in this monumental jar. 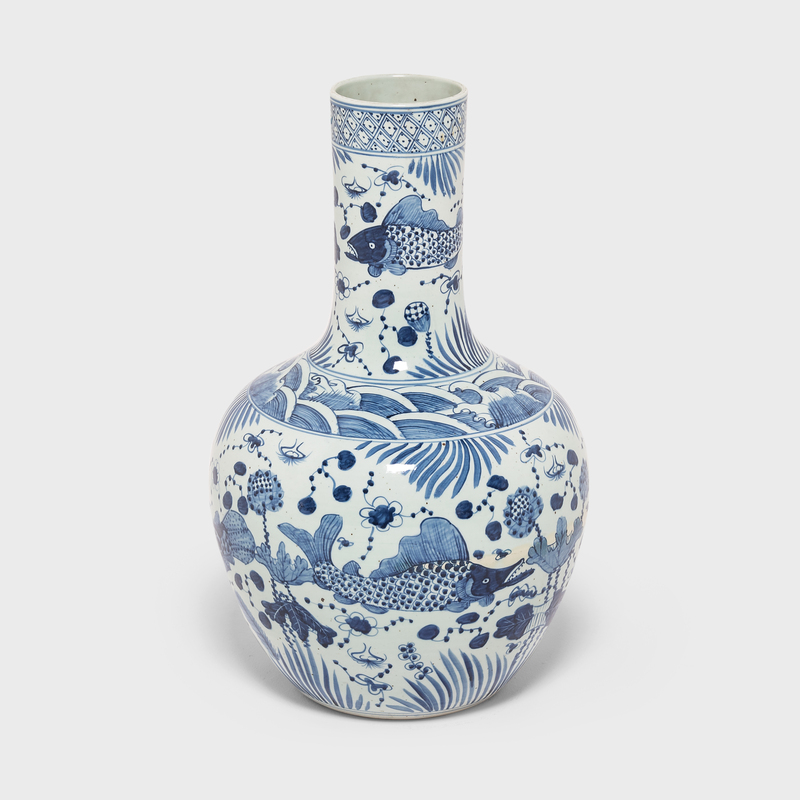 Delicately painted by hand, it transports us to a whimsical underwater world inhabited by dramatically finned fish, fanciful water bugs, and exotic plants. 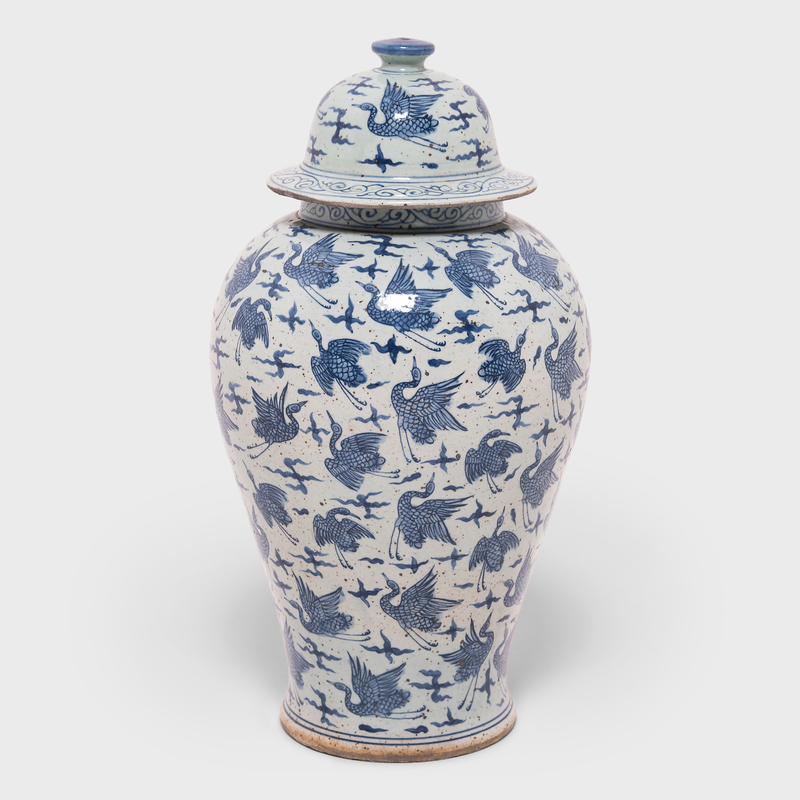 The whimsical motif draws upon traditional symbols of prosperity and harmony. 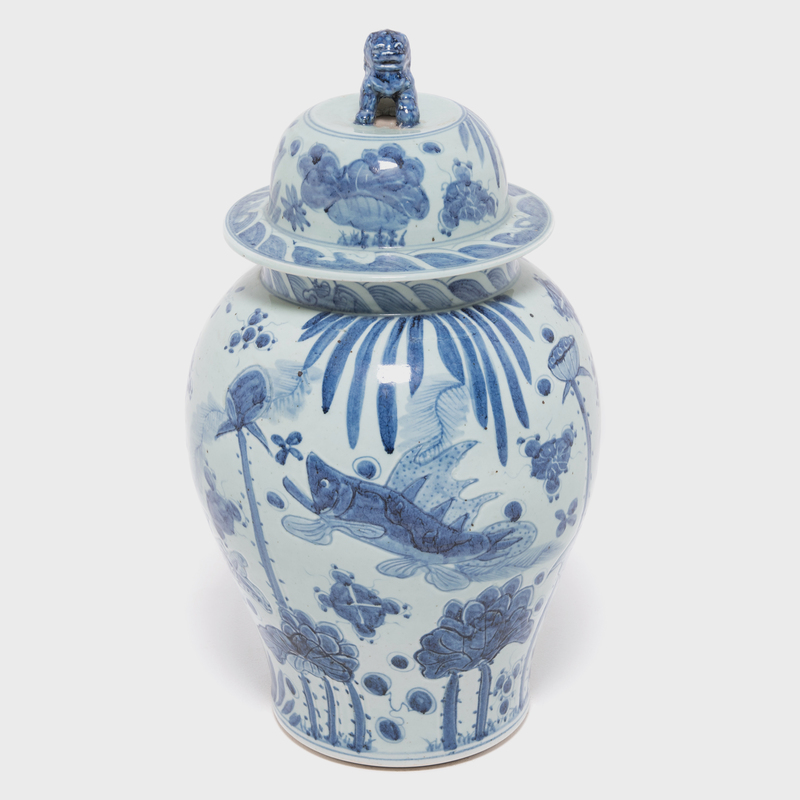 It is topped with a lion dog protector.